Chelsea travel to Old Trafford on Sunday where a win could put the Blues level on points with their old foes. With so much focus on the rivalry between the two managers, it seems almost inevitable that at least one of them will be talking about the referee after the match. The man appointed for Sunday’s game is Martin Atkinson, who United fans may remember for sending off Steven Gerrard after just 38 seconds on the pitch. The referee will no doubt be the centre of attention; no ref in the Premier League has given more red cards than the 46 year-old this season (four). 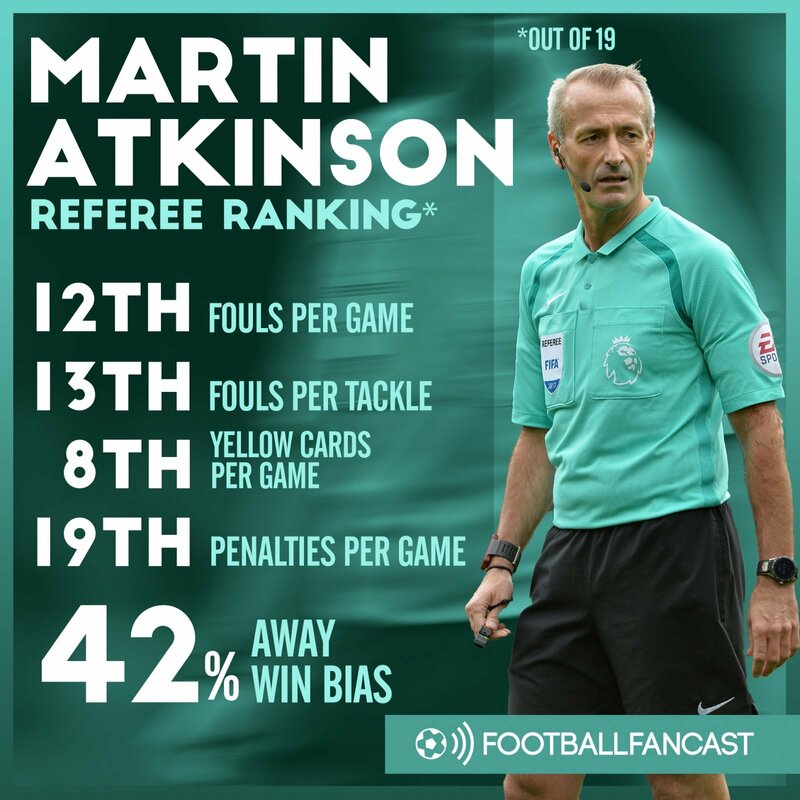 Perhaps the most notable thing about Atkinson however is that he has given just one penalty in 19 matches this year, giving him the lowest number of penalties per game of any Premier League referee this season. Atkinson has been in charge of Chelsea only once in the league this season, in their 1-0 home loss to Manchester City back in September. He has taken charge of the Red Devils on three occasions, including their 0-0 draw at Anfield in October. Atkinson dished out ten yellow cards in United’s home draw with Burnley in December, the most he has given in any match this season. Though neither team has a particularly poor disciplinary record this season, Atkinson’s propensity to dish out cards could mean there are a fair few talking points after the match on Sunday, especially given what’s on the line for the two clubs. A huge boost for Chelsea fans – Atkinson has taken charge of this fixture five times in the past, resulting in three Blues wins and two draws.